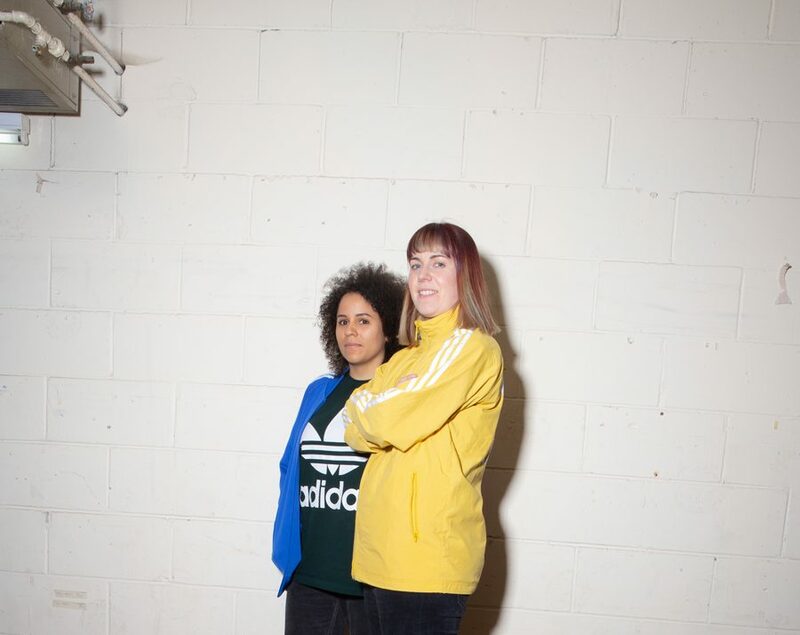 Blasha & Allatt are co-founders and residents at Meat Free., hailed as one of Manchester’s best techno nights and nominated for best UK club night in 2017. Through sets at their own parties, they regularly impressed the artists they booked, with Ben Sims in particular championing them outside of Manchester by inviting them to play at his Machine parties and consequently it’s Boiler Room session in 2016. In early 2018, they caught the eye of Resident Advisor, who invited Meat Free to co host the Manchester leg of their Alternate Cuts series, with the girls providing a mix to coincide with the party. 2018 has already proved to be a big year for the duo, gaining a nomination in the DJ Mag ‘Best Resident DJ’ category as well as gigs at at Fabric, Dockyards Festival (ADE) , Shelter & No Bounds under their belt. Their debut track ‘Broughton 93’ is also featured on Machine’s forthcoming ‘Tribology’ compilation which sees the girls share label space with Function, Truncate & Psyk. More recently, they caught the eye of Resident Advisor, who invited Meat Free to co host the Manchester leg of their Alternate Cuts series, with the girls providing a mix to coincide with the party. 2018 has already proved to be a big year for the duo having played at Fabric, Dockyards Festival (ADE) , Shelter & No Bounds. Their debut track ‘Broughton 93’ is also featured on Machine’s forthcoming ‘Tribology’ compilation which sees the girls share label space with Function, Truncate & Psyk.